Last month two 14-year-old adivasi girls, who had migrated from Khunti district to work in Delhi as domestic help, were found dead in mysterious circumstances, both within two days of each other. On April 19, Jyoti Mariyam Hora died soon after she was brought to the Madan Mohan Malviya Hospital in Delhi’s Malviya Nagar. Two days later, Dayamani Guriya, who had studied with Jyoti till class VI and had migrated to Delhi with her, died in mysterious circumstances at the Ranchi railway station when she was being sent back to her village in Torpa in Khunti with police’s intervention. The Delhi Police have arrested one Chandumani, who had brought the two girls to Delhi. “We are waiting for a second autopsy report to verify if Dayamani was poisoned. Jyoti’s family members have left Khunti accompanied by a police team to bring Jyoti’s body back,” said Superintendent of Police, Khunti, M. Tamilvanan. The two incidents are the tip of the crisis unfolding in several adivasi homes across Jharkhand, where hardly a week goes by without reports of children and youth, especially girls and women, missing or rescued from metropolitan cities. There are 14 children from villages of Murhu block alone in Khunti. In March, Miti Purti (name changed) of Kotha Toli, Khunti, returned from Delhi with a debilitating skin infection, earning Rs. 27,000 after working seven years in Delhi. Mani Dondray, 15, worked in Delhi for seven months but had to return after she contracted TB and became severely underweight. On a clear evening in March, as dusk fell, Dayakishore Tirkey, a tall farmer in his late 40s, waited patiently for his turn to speak to police officials at the Mahuatarnd police station. Two days back, he had got word for the for the first time since, three years ago, his 15-year-old daughter Supriya had left their home in Guera village in Jharkhand’s Latehar district to find work in Delhi. “We got information from Delhi about a girl who is from Guera village. Her name is different from her given name but we made her talk to Dayakishore on the phone and they both recognised each other. Now we will arrange for him to go to Delhi to identify and get her back,” said Mahuatarnd Station House Officer (SHO) Anil Kumar Singh. This is the third instance since January where the SHO has had to act on information from Delhi about adivasi girls reported missing and found or rescued through police raids at placement agencies’ offices in Delhi. “The adivasi girls educated in missionary schools are well-educated, but the poorer families’ children in government schools frequently drop out by class VI or VII and leave to work in cities. 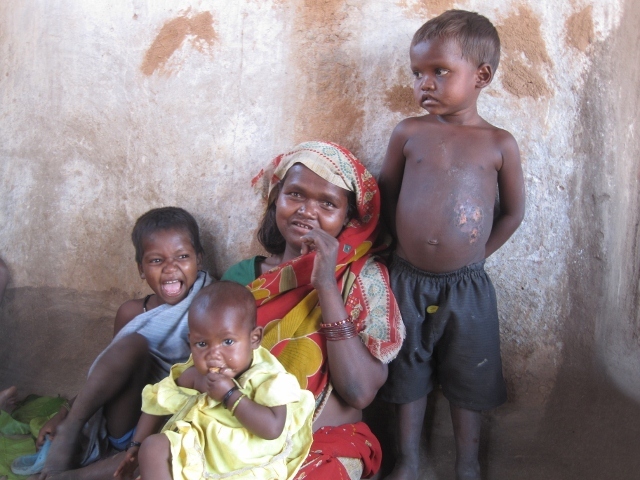 These adivasi families do not have the tradition of keeping in touch with or keeping watch over their daughters. The police have to routinely bring them back and try to get them their unpaid wages from placement agencies in Delhi,” he said. Tirkey, who owns a small plot of land in Guera, says he worked a few years as a tailor in the army. “When Supriya asked me if she could go to Delhi with Dominica Minj, a woman from the nearby village, I had said no. I have worked in Delhi, Rajasthan and U.P. and know what cities are like. But she told her mother and left,” he spoke outside the police station. The next morning, he left for Latehar, the district headquarters 140 km away, from where he would board a train to Delhi with a change of clothes and Rs. 210 — all the money he could manage. The same week that Tirkey boarded a train to Delhi, in Chekma, the adjoining village Manju Lakda, in her early 20s, came home to receive her younger sister Shanti’s body sent in an ambulance from Delhi. “My brother, who is studying in Uttarakhand, youngest sister, who also worked as a domestic help in Delhi, and Sunita the younger sister of Dominica Minj who had first taken my sister to Delhi four years — brought Shanti’s body back. Dominica and Shanti called and tried to mislead me on the phone. At first they told us the wrong hospital’s name and to the police who had come to the hospital after my sister died they said they did not know whose body it is,” she recalled. “It took my brother and sister two days to find Shanti’s body in the mortuary. They saw marks of vomit-like substance on her face,” said Manju who is training to be Auxiliary Nurse Midwife (ANM) in Visakhapatnam. The family is still awaiting the final autopsy report from Maulana Azad Medical College, Delhi, to make sense of Shanti’s mysterious death. A mobile phone — which the family has put in a plastic bag and hung on a tall stick at their door to be able to receive better phone signal — rings and Manju gets up to answer it. “The phone does not always work but Shanti would call once in three months or so. She said she got Rs. 3,000 as wages but I am not sure if she got the salary or the placement agency. She had left after she finished IX with Dominica from our village. Two years back she called and said she was unwell and we should come to Daltonganj station to receive her. She had contracted TB in Delhi. She stayed home a year. My husband works for the mission here and we got her fully treated. Then she left for Delhi again with her younger sister and worked in a house in Kashmiri Gate,” says Manju’s mother Sabhani Khaka. The family says Dominca Minj has threatened them for pursuing the case legally. “She is close to the parties [splinter Maoist groups active in Latehar] and says she will get our family members abducted,” said Shanti’s kin. Minj, who was in Chekma to visit her father, denied the allegations. “I had taken seven girls including Shanti once to a placement agency run by Mahendra Singh in Naraina Vihar in Delhi. I got Rs. 6,000 per girl. But the girls get money too and wanted to go on their own,” she said. No complaint or FIR has been registered yet in Latehar. Read the full report in The Hindu here. In October the same year, a Santhali girl in her late teens was rescued from the house of Vandana Dheer, a MNC employee, in Vasant Kunj in Delhi with evidence of torture and beatings. Two reports from her home in Sahebganj in Jharkhand here and here.